Former chairman of UKIP and Brexit advocate Nigel Farage reportedly 'person of interest' in FBI's investigation of 2016 election. The FBI has named former leader of the United Kingdom Independence Party (UKIP) Nigel Farage as a “person of interest” in its ongoing investigation into alleged Russian efforts to influence the outcome of the 2016 US presidential election, a report by The Guardian claims. 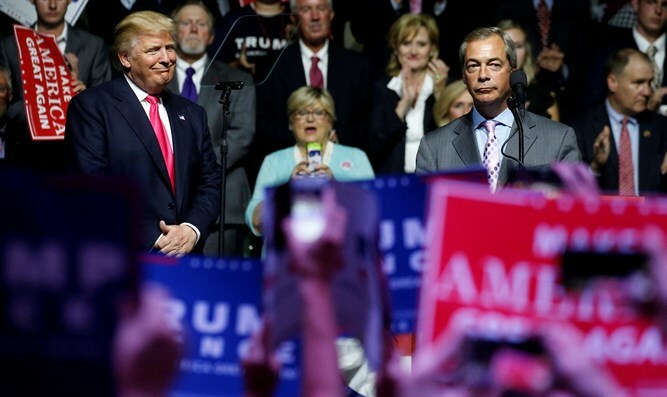 Farage, a staunch backer of Brexit who endorsed President Trump during his 2016 campaign, is not a target of the FBI investigation, a source privy to details of the inquiry told The Guardian, but his relationship with the Trump campaign and alleged ties to Wikileaks founder Julian Assange have drawn the interest of investigators, who believe Farage could possess information vital to their efforts. “One of the things the intelligence investigators have been looking at is points of contact and persons involved,” the source told The Guardian. “If you triangulate Russia, WikiLeaks, Assange and Trump associates the person who comes up with the most hits is Nigel Farage. But Farage pushed back on the report, with a spokesman for the former UKIP leader calling the claims “verging on the hysterical”. While Farage has ties to the Trump administration and has met with Assange, his spokesman said that Farage had nothing linking him to the Kremlin or other Russian interests. “Nigel has never been to Russia, let alone worked with their authorities,” the spokesman said.